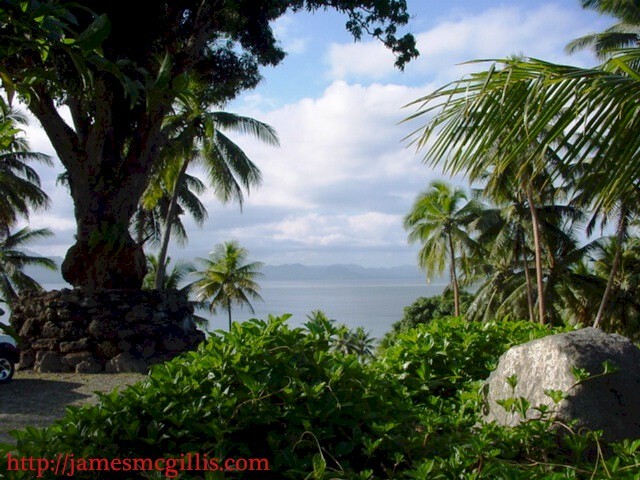 10:00 AM – We needed a map of Vanua Levu, or so we thought. So at the suggestion of the Budget Car Rental Agent we jumped into our Jimny and took off on the wrong side of the road, (well actually the right side of the road; no, let’s just call it the correct side of the road, so we all know what I’m talking about). 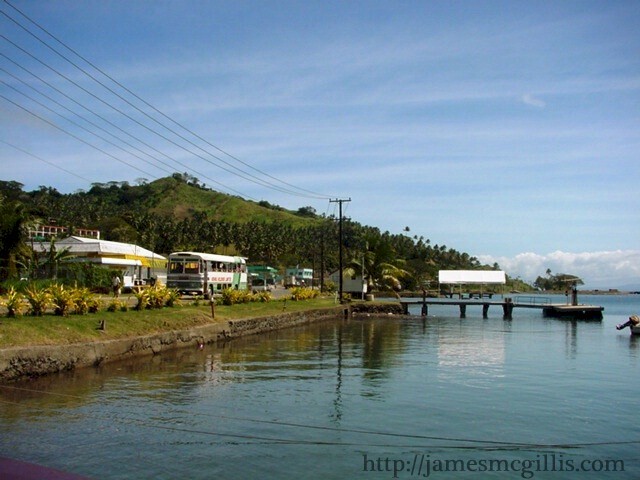 Now that we have that straight, we took the left side of the right road over the hill into the bustling little port town of Savusavu. From the sea, you would sail north, around a headland, anchoring inside crescent of a sheltered bay. Cultural activity revolves around the sheltered marina and the adjacent old Copra Shed (copra being the flesh of the coconut). Inside there are many shops and there is a town-market along the shore. At some time, storms had washed out one lane of the road over Savusavu Hill. Wooden barriers had been hastily set up so that traffic would not end up the “new” gorge that had formed there. Upon closer inspection, we notice that the barriers were so old that the Sun had bleached the unpainted wood and weeds and brush were growing in the little canyon. The roads in the area alternated between asphalt and a unique mixture of dirt and rocks. We would find this pattern in the roadways repeated all over the island of Vanua Levu. 10:15 AM - We found the Post Office, where our treasured map was supposed to be, but when we asked to purchase a map from the young Indian woman behind the counter, she looked at us as if we were from Mars. Neither she nor anyone else in the Post Office knew anything about a map of the island. That being our first experience in Fiji of being treated as if we were from outer space, we found it a bit disconcerting. Soon enough we would get used to the gaping jaws of local town and country folk as we whisked across the landscape in our traveling Budget billboard. After a while, it became the norm and we actually began to enjoy it. 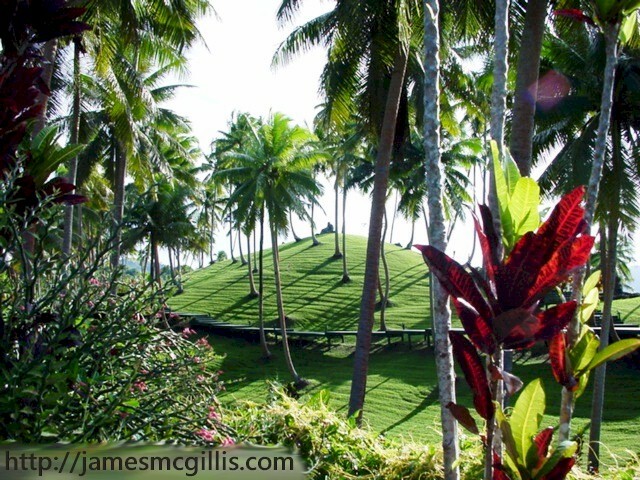 10:30 AM – we had had enough of Savusavu for that day and decided to push on to Lomalagi Resort. It is said that in the U.S., Colorado bound settlers in the wagon trains could see Pike’s Peak from 100 miles away. It stood out so clearly in the nineteenth century air that the travelers mistook its distance. As the mountain stood up against the flat horizon, settlers were sure that it was only a day or two away. Each subsequent morning they would rise and say, “This is the day! Pikes Peak or Bust!” The following morning and on each morning for nearly a week, they would awaken and say the same thing. For us, Lomalagi became the spiritual equivalent of a Fijian Pike’s Peak. We knew the resort was out there somewhere, but it always seemed just outside of our reach, never within our version of 3-D time-space reality. 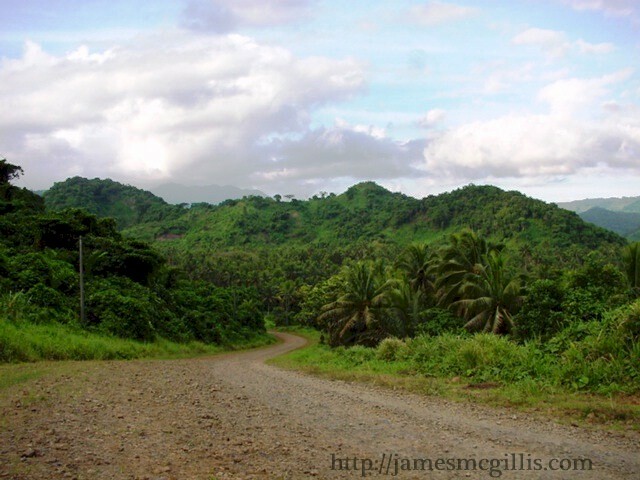 10:45 AM – We retraced our steps over Savusavu Hill and headed east along the Hibiscus Highway. In those days, there was no Google Earth, let alone a mobile telephone that would work anywhere on the island. Telecommunications was then a government monopoly, and the Fijian government believed that they would make more money by restricting access and charging more for limited services. While looking at a map before traveling, Lomalagi had appeared to be twelve or thirteen miles from the airport. That should be easy, we thought. The road was good and stretched out before us. If you have never seen a road stretch before your very eyes, let me assure you that the Hibiscus Highway stretches all the way to infinity. Once we got going, the road surface changed every quarter to half a mile. Soon enough, we arrived at the Construction Zone (which took on many characteristics of Rod Serling’s old TV show, The Twilight Zone). 11:00 AM – The construction zone featured Chinese engineers, who under-bid this job in order to be allowed to massively underbid an even larger project on Viti Levu. Had they too fallen under the spell of the Construction Zone? They supervised Indians and Fijians who appeared to do the actual construction. Mounds of rock and dirt did appear on the road from time to time over the next ten days. Holes were also dug, but rarely filled. Individual workers could be seen from time to time using the corner point of their shovel to delicately push individual rocks back into the roadbed. We saw this enough times to conclude that certain rocks just didn’t want to be a part of that road and had tried to escape while the workers were not paying attention. Traffic lane barriers consisted of a line of slightly larger rocks arranged down the middle of the road. Detours were common, but each day their locations seemed to change. Was it us or was it the “CZ”? 11:10 AM – The Kava Ceremony. If you have ever heard about the islands of Fiji, then you have probably heard about the Kava Ceremony. It consists of all the males of a tribe getting together and sitting in a close-knit array. A slightly intoxicating root of a pepper plant is mixed with water and scooped up with a burnished piece of coconut shell. It is offered to each of the men in turn and is drunk down in one big gulp. 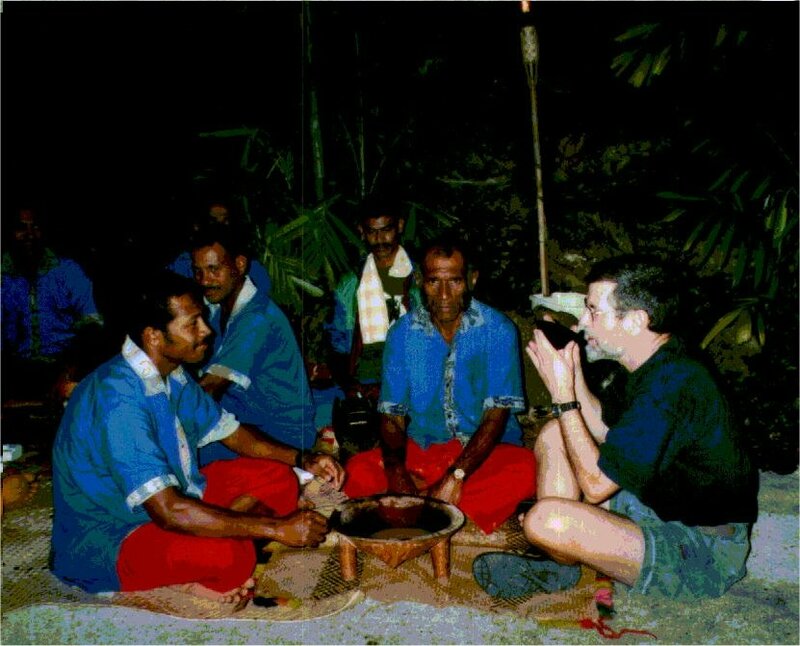 Having later participated in two such ceremonies during our stay, I do not make light of the importance of Kava and the ceremony to the social, political and religious life of the Fijians. So, you might have been as amazed as we were when we came across approximately twelve of the construction workers sitting in the middle of the road looking for all intents and purposes as if they were engaged in a Kava ceremony. We slowed to a crawl so as not to disturb them in their ritual observance. It was then that we noticed that they too were using some form of hand tool to push individual recalcitrant rocks back into the road. 11:15 AM – Jesus drives a road grader. I would not have believed it either, if I had not seen him. There is an ancient Chinese saying that “if you meet the Buddha on the road, kill him”. It sounds rather drastic, but I think the idea is that it cannot be the “real” Buddha and an imposter Buddha should not be tolerated. As we slowed at another choke point (in more ways than one) on the road, we passed several pieces of large equipment. One is what we commonly call a steamroller, although they haven’t been powered by steam in my lifetime. We were already getting into the other national pastime in Fiji, which is to slow down, smile and say “Bula” (Fijian for “Hello, nice to see you”) to everyone with whom you cross-eyes. To my great surprise, a man with long flowing hair and eyes with a depth and clarity not seen in Western lands smiled down on us from his earth-rolling machine. His light shone brightly and time stood still for one brief moment. We had received the blessings necessary to negotiate any Fijian road with safety (if not serenity). 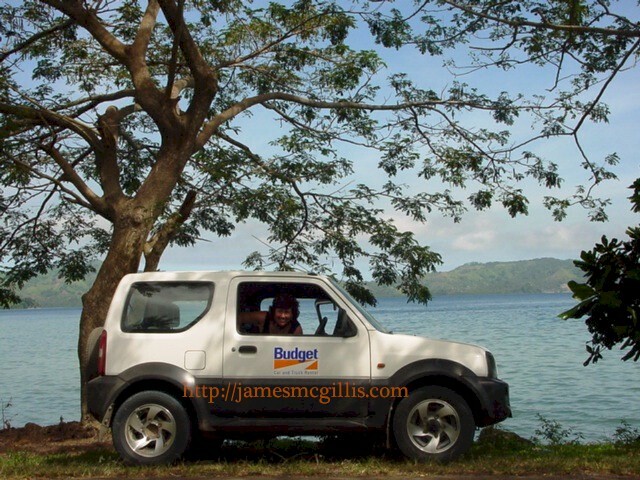 This would come in handy during our road rally on the island of Viti Levu, but that is for another day. 11:20 AM – The "Bridge over the River Kwai", as we called it. Actually, it was a new concrete bridge being built over a stream that came down from the mountains. For no apparent reason, it it had about forty Fijians sitting, hanging, walking on and around it. They had enough time to stop (or were they already stopped?) and to wave to us and smile. There I saw the Construction Worker character and I think I saw the Indian character from the pop group “Village People”. They appeared to be doing a bit of their “YMCA” arm signals as we passed. The Fijians have an incredible way of not working, or working, as the case may be. 11:30 AM – We came to a fork in the road before the large bridge, which is where we were supposed to turn off the highway, heading for Lomalagi. We were long past the Construction Zone and the highway and, at its wider parts, it had become a three-track dirt road. That means that two cars cannot fit on the road going in opposite directions. Did I tell you about the Fijian buses? The Indians own them and I am sure that they wait until they hear a car coming around a curve or up a hill (or both) and then they accelerate so as to arrive at the narrowest spot on a tight curve exactly when you do. We gladly turned up the side road (which was clearly unmarked by any sign, just as our written instructions said) and took a two-mile detour into the bush, ultimately arriving at the local agricultural experimentation station. Later we learned that they were creating coconut trees that never grew tall. It sounds like a plot to grow everything the wrong size on the islands, but I guess coconuts are easier to pick when you do not have to climb up high to get them. 11:45 AM – Once we determined that we were on the wrong road, we retraced our steps to try to get it right (again). We shot up the road at fifteen to twenty miles per hour and found the nearly identical unmarked road that forked off just before a nearly identical bridge. This had to be the right one! The perfect symmetry of our trip was that each time we blew it; our real course was just waiting for us to find it. Approaching or destination, we were willing to accept the path and so we took it. All my Fiji stories have a happy ending and this is no exception. As Jimny lurched up the last steep hill to a rock wall and a green arch over an entrance way, our moment of despair passed. A quaint sign on the archway read, “Welcome to Heaven”. As usual, a picture tells one thousand words. This is Chapter Three of ten chapters. To view the previous article in this series, click HERE. To view the following article in this series, click HERE. By Save Vocea on April 8, 2008 06:31 PM | Link to this comment. 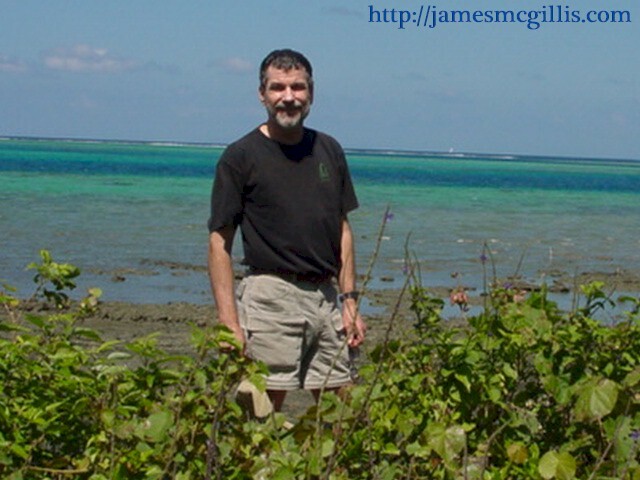 Hi Jim, I enjoyed reading your posts on Natewa bay and stay in Lomalagi. My uncle is sitting to your right as you drink that yaqona (kava). You''ve highlighted some concerns with the plans at natewabay.com and has got me thinking as well to follow closely any impacts that will bring.